Vitamin B12 is essential for the preservation of the myelin sheath, around neurons and for the synthesis of neurotransmitters. 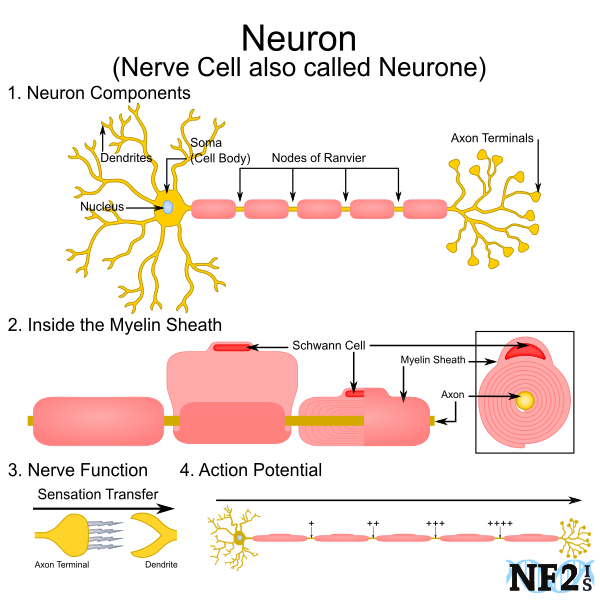 The Myelin Sheath is the part of the Neuron, Nerve Cell, damaged as a result of Schwann Cell overgrowth, development of Schwannoma tumors. 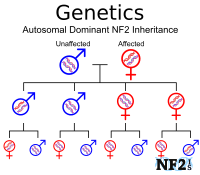 Individuals with Neurofibromatosis Type 2 (NF2) can develop different tumor types that can result in nerve damage. 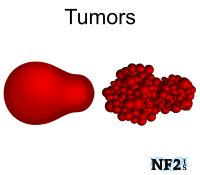 Since Schwannoma are an overgrowth portion of nerves, the Schwann Cell, a person with NF2 is in a constant state of battling some nerve damage as long as they have even one of these tumors. 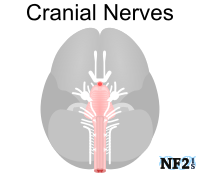 Other NF2 tumors often compress nerves in other ways which would also result in nerve damage. 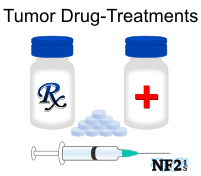 Unfortunately, not only does NF2 result in nerve damage from tumors, but can result in things that make it impossible for the body to absorb B12 in food like; stress, brain surgery, other surgery, prescription medications and digestive issues, resulting in B12 Deficiency. 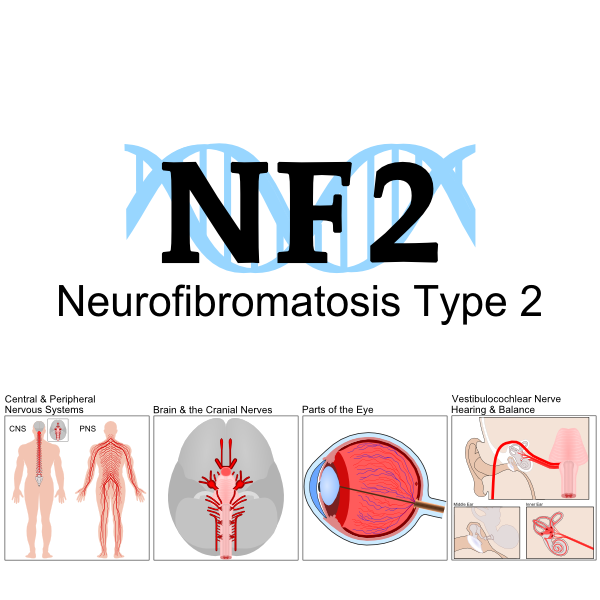 If a person with NF2 has B12 deficiency it means; 1) the body is not just unable to heal nerve damage, 2) prevents the body from normal nerve cell growth compromising nerves other tumors may be starting to damage faster, 3) increase Tinnitus and 4) lower the immune system. During any form of injury, like nerve damage, the Immune Systems response is to immediately fight the damaged area, this makes it more complicated for the body to also fight protect against disease and germs. 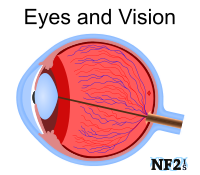 While protein in food can help raise B12 levels, food alone is not enough to replace the ongoing nerve damage caused by NF2 and is a supplement generally recommended by many NF2 doctors. Vitamin B12 deficiency is characterized by megaloblastic anemia, fatigue, weakness, constipation, loss of appetite, and weight loss. 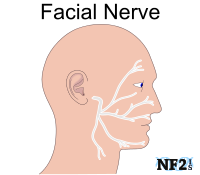 Neurological changes, such as numbness and tingling in the hands and feet, can also occur. Additional symptoms of vitamin B12 deficiency include difficulty maintaining balance, depression, confusion, dementia, poor memory, and soreness of the mouth or tongue. [NIH, 2011] Vitamin B12 deficiency can also cause or increase Tinnitus. Chloramphenicol: Chloramphenicol (Chloromycetin™) is a bacteriostatic antibiotic. Proton pump inhibitors: Proton pump inhibitors, such as omeprazole (Prilosec™) and lansoprazole (Prevacid™), are used to treat gastroesophageal reflux disease and peptic ulcer disease. H2 receptor antagonists: Histamine H2 receptor antagonists, used to treat peptic ulcer disease, include cimetidine (Tagamet™), famotidine (Pepcid™), and ranitidine (Zantac™). 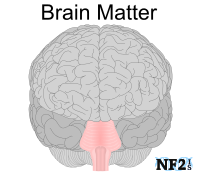 NF2 results in many issues that likely result in Vitamin B12 deficiencies. 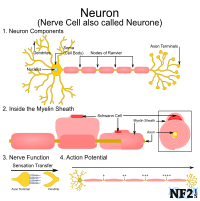 Therefore eating foods with B12 as well as taking a supplement has been recommended by different doctors for neurological issues that cause Neuropathy; Poor Circulation, Nerve Pain and Muscle Weakness. Talk to your doctors. Follow the resources listed for proper doses amounts of B12.